First we’re going to attach the stud. I like the stud to face away from my body so I put it on the top body wing. Pierce the center of the wing in the center. 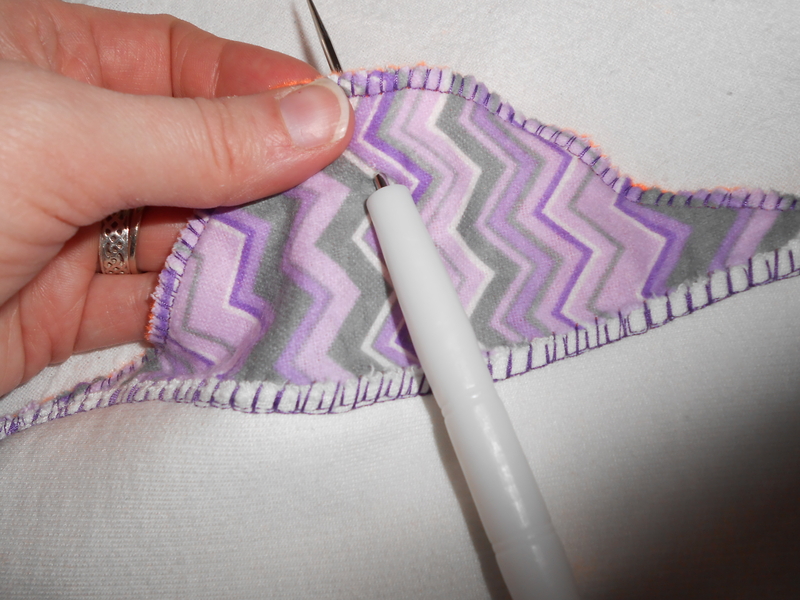 Here I am piercing the fabric with a sharp awl.